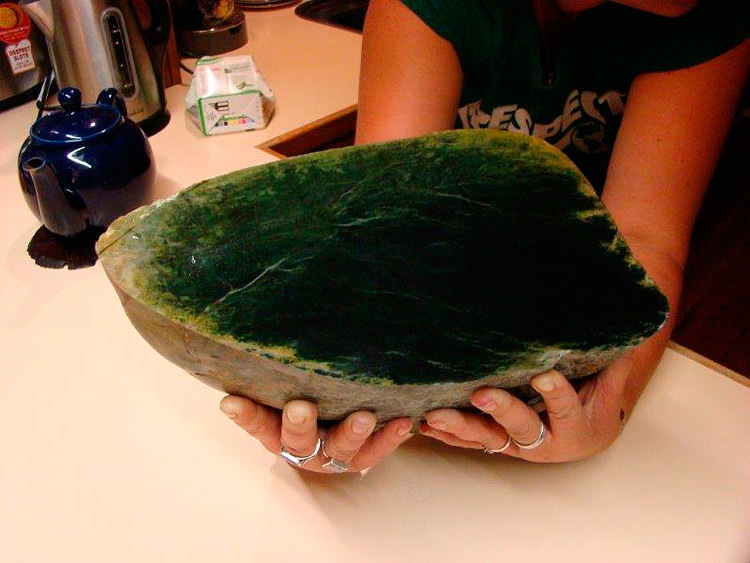 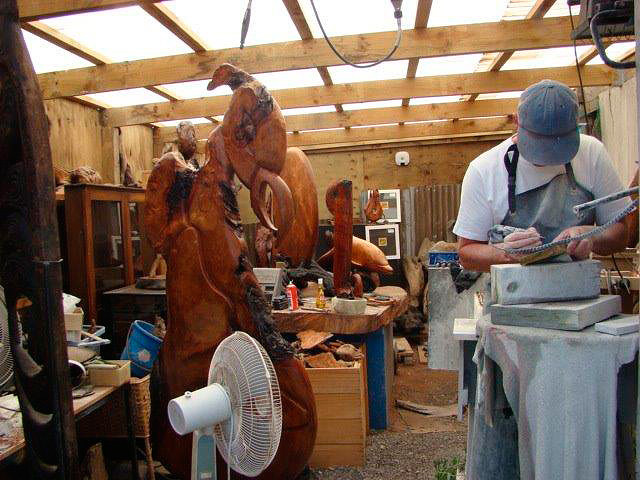 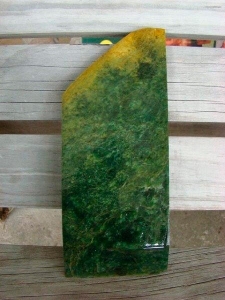 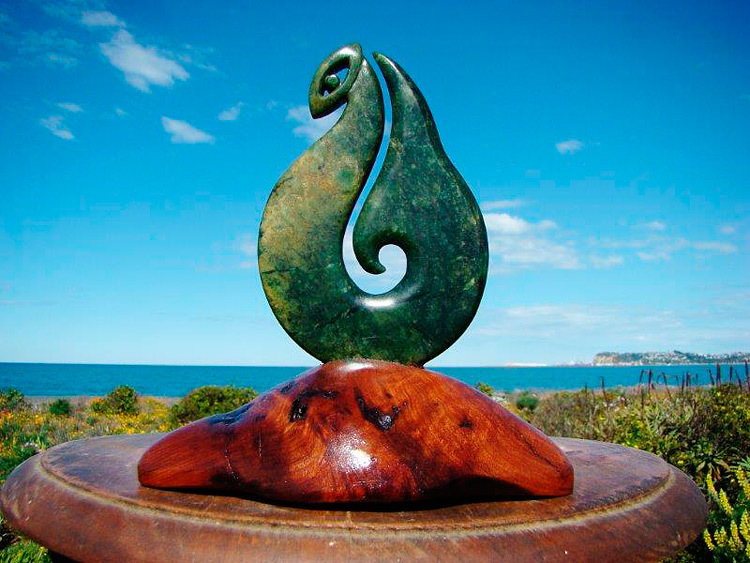 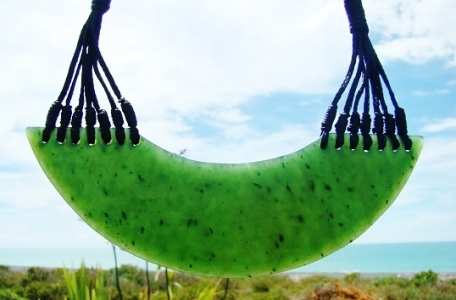 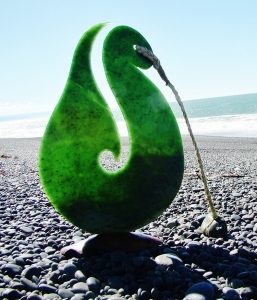 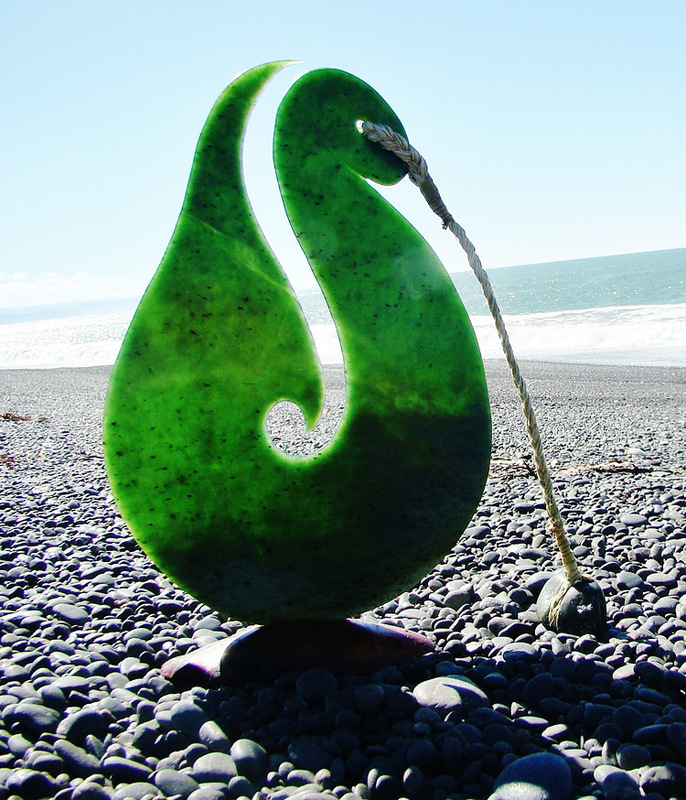 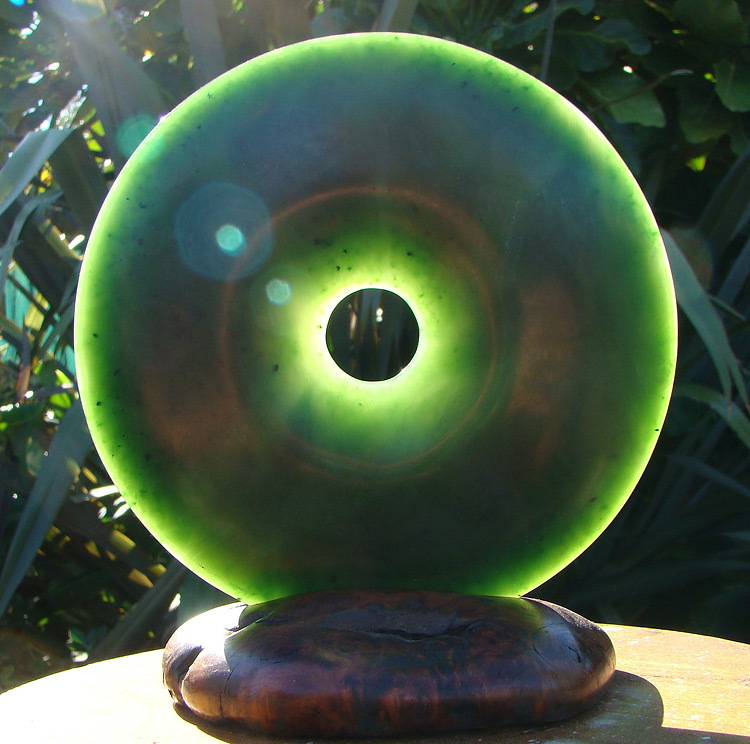 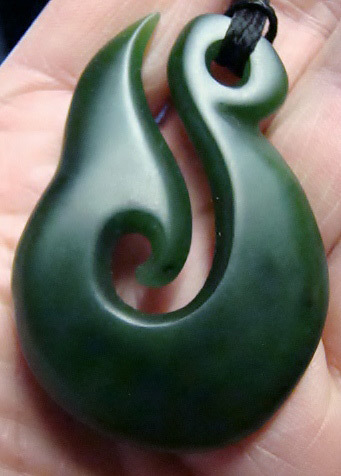 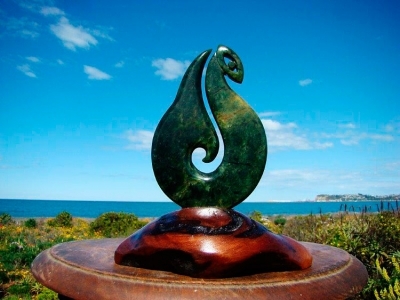 Paddy Cooper carves only New Zealand jade (greenstone, pounamu) as well as New Zealand native wood. 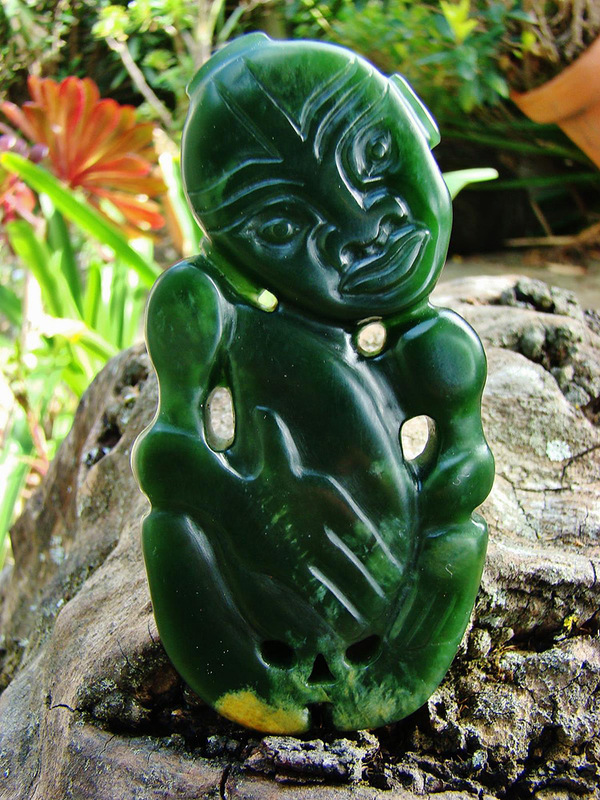 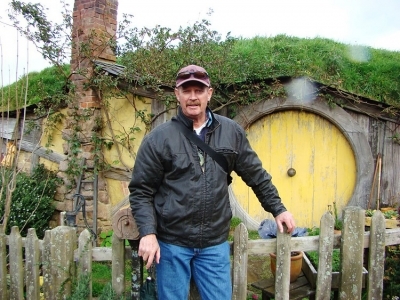 Paddy was first taught carving by Maori, and his current mentors (Richard Anderson, Kerry strongman) are both of Maori descent. Paddy is a 6th generation New Zealander, so much of his work has Maori influence. 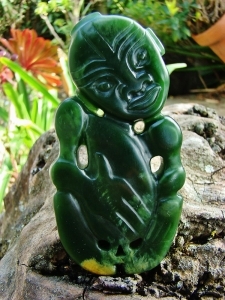 He considers all his pieces to be Taonga, or treasures. 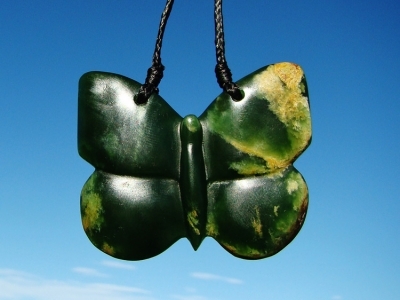 Paddy sells his work to people all over the world. 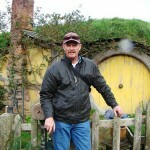 About half goes overseas. As well as jade pendants, Paddy carves larger sculptures out of both jade and wood. 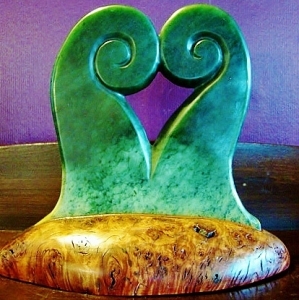 Paddy is now joined by his daughter, Natasha, who works for him part time, mainly carving and polishing jade. 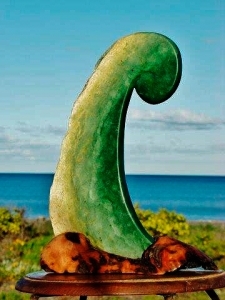 She is a trained jeweler.